New York socialite Alyse Philips is not the airhead people take her for-she’s great at convincing D.C.’s rich and powerful to open their wallets. Never one to coast on her family’s connections, her real dream is to help charities in a bigger way. Before she can pursue her ambitions, she discovers a money-laundering scandal that’s got her signature all over it. If Alyse can’t clear her name, she’ll never work in nonprofits again. Political blogger Liam Nussbaum has been pining after Alyse for six months, certain she’d never go for a quiet guy like him. Helping her with the investigation is a no-brainer. But going up against a seedy network of money and influence isn’t just a romantic opportunity or a chance to grab the headline that will take him into the big time-it’s a gamble that could destroy his blog’s reputation. As Liam and Alyse dig deeper, their hearts collide alongside their ambition. Will they choose love or politics? Because in Washington, everything comes at a price. “I loved the dynamic between the two of them, because they seem like such the odd couple, but in reality I think they compliment each other so well. … If you like political mysteries wrapped up in a romance, I would highly recommend this book for you.” – Home. Love. Books. How long is Private Politics? 71,000 words, or on the shorter end of single-title length. What inspired you to write the book? I love beta heroes and as soon as I met Liam in Special Interests, I knew he would get a book. The next time I heard the Stars song “Elevator Love Letter,” I had a plot. The Pinterest board for the book with more music and images is here. What was the writing process like? Scary but pretty quick! I sold the series but only had vague ideas about books 2 and 3 (see more here). 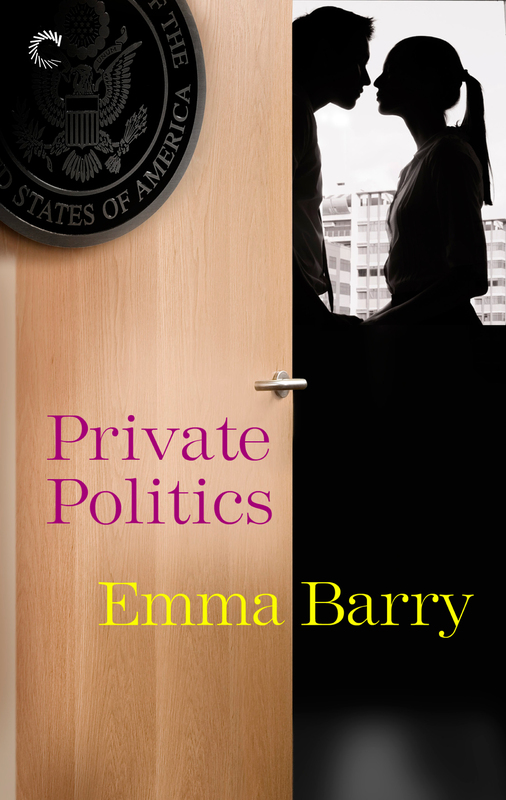 I wrote Private Politics during the late summer/early fall of 2013. Can it standalone? Yes. While it is the second book in a series, there’s no information that you need from the first book. I don’t like politics. Should I still read the book? I answered this question re: the first book in the series in depth here. The only thing I’ll add is that Private Politics doesn’t have any partisan politics. Nobody’s party affiliation matters; no one is looking for votes for a bill. It’s a good, old fashioned, money-laundering scandal, with longing and Mahler and suspense dropped in. What happens next for Alyse and Liam? I wrote an epilogue, which you can read here. Smart, capable and in awe of her: was that really too much to ask from the men in her life? Alyse Philips dragged perfectly manicured nails through her blond hair and flipped it over her shoulder. But did the accountant across from her so much as acknowledge it? A practiced movement that had melted bartenders on three continents, received appreciative smiles from congressmen and even caused her father to once issue a compliment—and Fred of all people was unmoved. Sitting in the cramped conference room at Young Women Read, Inc., the nonprofit where she worked, staring into the annual audit, she could have used a man whose reaction to her was a little more typical. A little more, well, dazzled. But no, dazzled did not appear to be an emotion in the Fred Hammond playbook. The man probably hadn’t been so much as impressed since 2002 and really, who hadn’t felt a strong stirring of emotion in the face of Halle Berry’s Oscar dress? Fred’s stoicism was a surprise—and like the decaf you hadn’t ordered, this surprise was unpleasant. “As the Special Events and Fundraising Director, you write the donor receipt letters?” Fred asked, not looking up from the yellow legal pad he scribbled on. This was his second attempt at this particular question, but because he apparently hadn’t been satisfied with the first go-round they were detouring back. She and her boss both sent the letters, which were informal and tax documents at the same time. Nonprofit stuff was so weird. Accountants, on the other hand, were not. Nearing fifty and wearing an ill-fitting department store suit, Fred sat across from her preparing his agenda for the next two weeks. The annual audit was, to put it mildly, a pain. He formulated his next question, blinking behind wire-rimmed spectacles. He looked like someone who would call them spectacles. This went on the paper. What hadn’t she been? She had started at YWR seven years ago, fresh out of college as an intern answering phones and fetching coffee. Now she ran the fundraising operation. She got her own coffee these days. After graduation, she knew if she didn’t get out of the city she’d never leave. As much as she’d loved New York, she’d needed a break. The choice of Washington had been almost accidental. It was the only offer she’d received—perhaps the result of spending too much time drinking and not enough time pondering the future—but whatever events had led to it, once she’d started at YWR she hadn’t been able to leave, despite other offers. She felt like she made a difference—simple as that. Every year, they sent tens of thousands of books around the world to schools and other literacy programs. They funded teacher salaries, built and repaired schools, paid for electricity: anything to support women’s and girls’ education. Okay, not exactly a controversial subject, teaching girls to read. It wasn’t difficult to raise the money or to get people on board with their goals, but it had vitality nonetheless. It felt like the absolute least she could do some days. Obviously girls needed to be literate, but the very simplicity was what drove her to keep on doing it. If she stopped, would the next person be as good? The difference between an annual operating budget of $8 and $10 million—and surely she made at least that much of a difference—was huge in terms of what they could provide. So she had stayed, year after year, confident she, and her work, mattered. He had to know what a difficult position he was putting her in, know that she couldn’t answer this question diplomatically, and he asked it anyway. Fred apparently had a bit of a mean streak. Geri ran YWR like a ship. A ship with a weekly staff meeting generally clocking in at two hours immediately before close of business on Thursday, which preparations for the annual audit had thankfully displaced this afternoon. Alyse’s boss was excellent at her job, except for her terrible taste in meeting times and her disdain for digital files. Fred outright chuckled—the first moment of levity they had shared in half an hour. Maybe he was a slow thaw. Maybe she could get him. Because it would so help lubricate the next two weeks if he were at least a little bit astounded. The audit was grueling and stressful under any circumstances. The organization’s reputation was at stake. But if Fred were even infinitesimally on their side, rather than prosecuting them, it would be easier. Hell, at this point, she would even settle for impressed. Blinks resulted. Many, many blinks. That had to be a good sign. “Oh. Well, then, it’s good we’re on the same page.” She was going to need to practice charming; obviously she was slipping. He turned from the legal pad to his computer, struck a few more keys, then his tiny, portable printer rattled to life. “Here’s what we want,” he said, passing the pages to her. One sheet was followed by another and then another. The list of receipt letters was longer than she would have guessed. There were more letters listed here than she remembered writing, actually, but it had been a record-breaking year. You can read the rest of the first chapter here and short teasers here, here, and here.